Photo Wednesday is back, and this one to more of a reminder to most Seoul residents as you’ve most likely seen this sign on your travels but maybe not fully taken it in. Personally I think that the picture (not the situation) is pretty funny and anyone who regularly takes the subway will have seen this happen to someone. 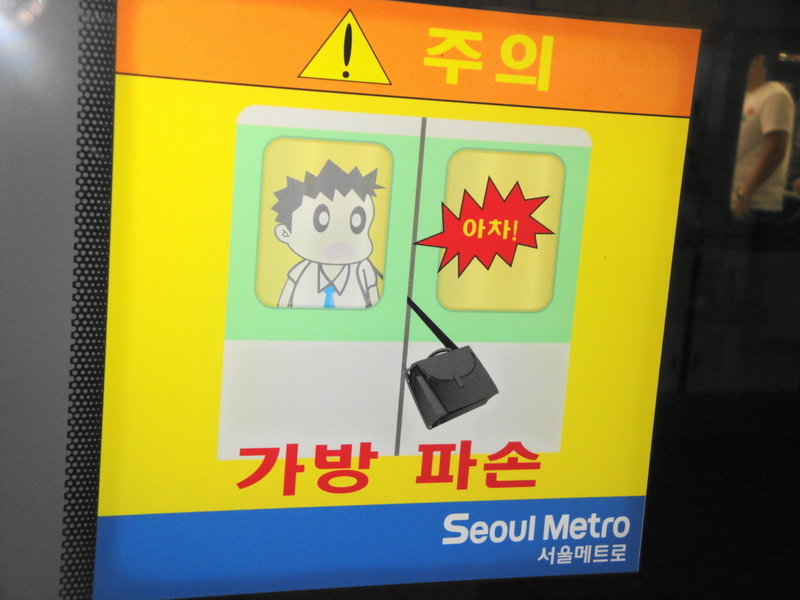 The picture was taken at City Hall Station in Seoul and can be seen all over the Seoul Subway Network. I like this – amazing graphics.